Listen to Chemistry & Art on Fun Kids! We’ve got our very own superhero here on Fun Kids – K-Mistry! 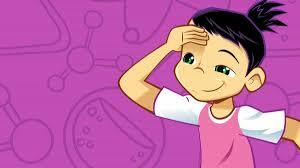 K-Mistry is the superhero alter-ego of Kareena, who’s back in a brand-new series exploring the wonders of chemistry in the art world! She’ll be uncovering loads of cool stuff – all the way from prehistoric cave paintings to the art you can find in galleries today! There’s no limits to what K-Mistry might discover with chemistry on her side! Click here to start exploring Chemistry and Art or click on a page below! Why not explore another brilliant K-Mistry series? Subscribe to Chemistry and Art on iTunes now to make sure you never miss an episode or listen below to all the past Chemistry and Art episodes online.